The next big innovation is coming in the form of custom frames, built for each individual - size, angles, intended use, wheel size based on rider size, parts that can be replaced for new standards/components, etc. That frame featured a few weeks back, with the carbon tubes and 3d printed bits, is a vision of the future. Used but certainly not abused! A few years old, a little heavy, but the DW Link is great and the Avalanche upgrades are amazing!! 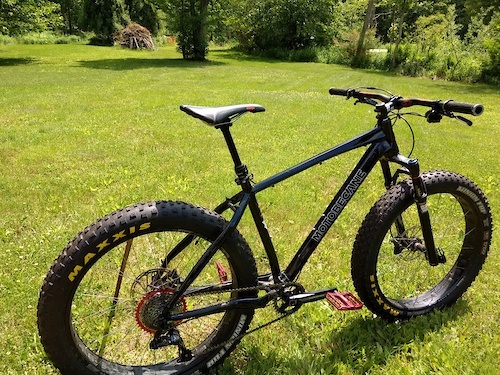 Currently set up for a rider w/ gear around 220 pounds, and tuned for all-mountain and freeride. 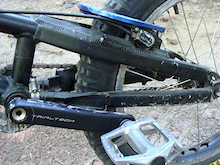 Springs can easily be changed and Avalanche can re-tune for just about any person or type of riding. 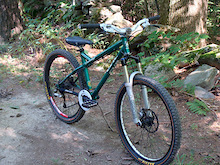 Totem is a great fork on its own, but with the Avalanche cartridge it's unbeatable! The rear shock is 1/4" shorter, 1/4" less stroke than stock - this decreases the travel from 7" to 6.5", but also lowers the BB and slackens out the head angle a bit. Two great changes to the bike. Willing to ship, if buyer pays for the shipping. I can meet just about any day at Highland. Willing to travel (within reason) for a meet-up. "Dampening makes you wet. Damping makes you fast" Hahahahaha! Awesome!! 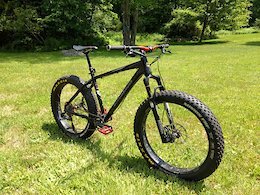 Two new, full suspension bikes, with top of the line build kits, for well under $5000 each? Hell yes! Someone's listening! Finally, a bike priced within the scope of reality!! Thank you Intense and Pinkbike! Top build at $6000, rather than the "budget" build at that price. How many chain drops did it take to mar that pivot? Was that a consistent issue? Seems nice that it comes with tabs for a guide.